All dogs have a natural instinct to chew, regardless of what breed they are. But even though it’s normal, that doesn’t mean you should let your dog chew whatever they choose. It’s important your dog learns the difference between what they can chew and what they can’t. And so you need to know how to stop a dog from chewing. To ease pain, for example when teething. To strengthen their jaws and improve their biting skills. Because they’re stressed, e.g. they’re suffering from separation anxiety. It’s important to note that chewing is normal and healthy for your dog and can help to clean their teeth. You can buy special chew toys to help with this, for example. 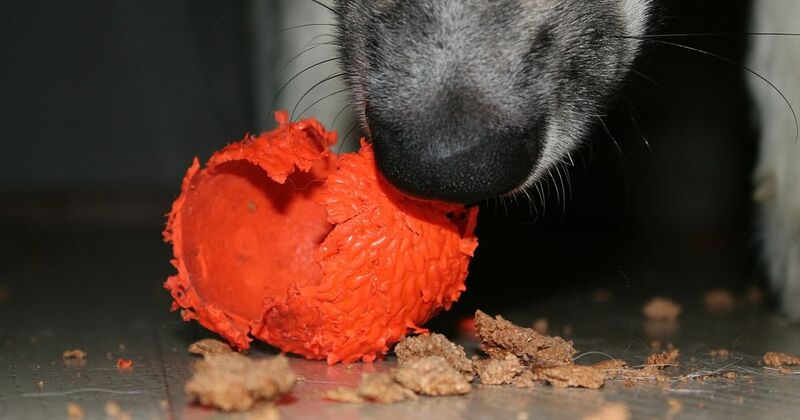 Chewing only becomes a problem when your dog starts chewing things they shouldn’t. It’s important to know how to stop a dog from chewing the wrong things for a couple of reasons. First, it can be expensive if you don’t! You don’t want your dog to chew up your expensive rug or furniture. Nor do you want them chewing your shoes or boots to pieces. Second, it’s also important for your dog’s own safety. Chewing things like power cables and extension leads can be dangerous. Your dog could suffer severe injury, and chewing cables can even cause fires. Another important point to make is that it’s easy to assume your puppy will grow out of their chewing problem. While some dogs will grow out of it, not all of them will. It’s much better to get them out of the chewing habit as soon as you can. So how to stop a dog from chewing then? Firstly, if you’ve not yet chosen a puppy then when you do so you should try and find the best match for your circumstances. This means matching the dog personality to your lifestyle. For example, if you’re away from home for long periods during the day, avoid a breed that’s prone to separation anxiety. If your dog suffers from anxiety while you’re out, they may start chewing. Similarly, some breeds are just more prone to chewing than others. If you’ve got expensive furniture that you’re worried about, avoid these breeds. If you’re a relaxed, laid back sort of person you may want to avoid a lively and energetic dog. If you don’t, you may find the dog gets on your nerves. And you may not be willing or able to give them the attention they need. Then they may turn to chewing out of boredom. At the opposite end of the spectrum, boisterous young children may be perfect for a lively dog. But they may scare and intimidate a quieter, shy dog. And then the dog may start to chew through stress and anxiety. When you bring home a new puppy it’s a good idea to keep them in a small, puppy proofed area at first. You should do this for a week or two at least. This isn’t just to prevent them from chewing but also to help with house training too. Plus it keeps them safer while they get used to their new home and helps make sure they’re not too overwhelmed. And you should do the same with older dogs at first too. This lets your dog get used to its new environment, with all its new smells and sights. Make sure you give your new puppy or dog some quality chew toys while they’re constrained to this area. You should also make sure they have somewhere nice and cosy to sleep and ample clean fresh water at all times. Over time, let your dog have access to bigger and bigger areas of the house. As you do so, make sure there’s nothing they can get hold of that they shouldn’t chew. So keep things like shoes, slippers and rugs out of their reach. If your dog does manage to chew something they shouldn’t, don’t shout at them or punish them. Use one of their favorite chew toys to distract them while you take the thing they shouldn’t have from them. When your dog lets you have this item and takes their toy instead, lavish lots of praise and attention on them. In this way, they’ll start to learn what they’re allowed to chew and what they’re not. Puppies only have short attention spans. So don’t praise them for so long that they forget what they’re being praised for. The same applies when they’ve chewed something they shouldn’t. Don’t reprimand them after they’ve already done it as they won’t understand what they’ve done wrong. They’ll just see that you’re upset and that might cause them stress. Then they might chew even more. So only intervene if you catch them in the act or as they’re about to start chewing. If you do catch them in the act, give them something else to chew instead as described earlier. And do the same if you see they’re about to chew something. Also tell them “No!” in a firm but quiet voice as well so they know they were about to do wrong. One other point to note is that if you don’t live alone it shouldn’t just be you who stops your dog chewing. It’s important everyone else does so too. Otherwise you may find your dog learns not to chew just when you’re not around. You’ll find a lot of dogs learn what they allowed to chew and what they’re not quite fast. It goes without saying that some will learn quicker than others though. If your puppy is a slower learner, it’s important you remain calm and don’t get frustrated. Always remember that positive reinforcement is the best way to teach your dog anything. Some dogs chew as a result of boredom. Giving your dog plenty of toys and things to keep them occupied while alone is important to prevent this. You should also make sure they get plenty of play time with you. If you don’t, they may start indulging in destructive behavior like chewing just to get your attention. It’s a good plan to make time for several play times every day. They don’t have to be long sessions of play. Fifteen minutes or so is fine for most dogs. If you’ve got the time, make sure you have one of these play times just before you leave the house. 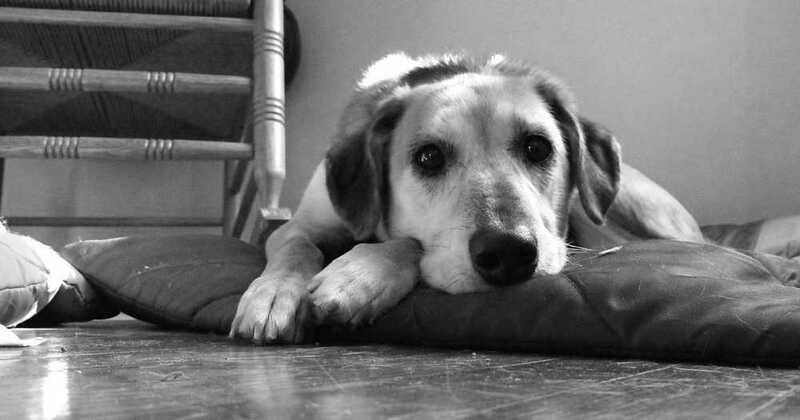 If your dog’s worn out, they’re more likely to spend the time that you’re away sleeping rather than chewing. A lot of dogs get anxious and nervous when they’re left alone. They get stressed about you maybe never coming back. And they can then start showing destructive behavior. This includes chewing and making a mess. You must train your dog not to suffer from separation anxiety if this is the cause of their chewing. You can do this by leaving the house for short periods a few times a day. Don’t leave at the same times every time. Vary the times so that your dog gets used to you leaving at random times. And keep the length of the absences short at first. Then increase them over time as your dog starts to get over their separation anxiety. If you’re having real trouble training your dog not to chew, an anti-chew spray is a good option to consider. The idea is that the spray makes the items they’re sprayed on taste horrible to your dog. 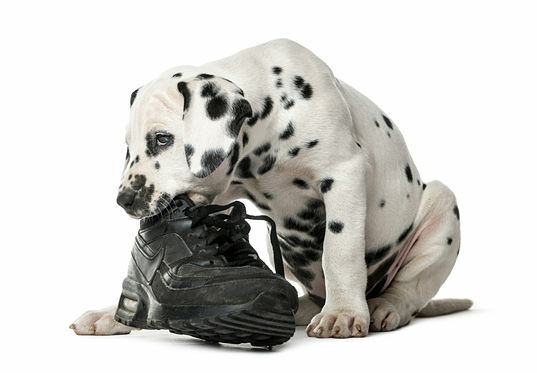 This discourages your dog from chewing, biting or licking the items. There are a variety of anti chew sprays you can buy to stop dogs from chewing. Bitter apple spray is the most well known anti chew spray and works well. Sometimes even one application of anti-chew spray to an item is enough to stop a dog from chewing it. If not, you can just keep reapplying the spray until your dog is discouraged. Once your dog has stopped chewing whatever it is you’re spraying you can stop spraying it. Don’t just stop it all at once though. Instead, reduce the frequency with which you reapply the spray over several weeks. This way your dog slowly becomes used to not chewing even though the bitter taste or smell has been reduced. Anti-chew sprays are suitable for use on most surfaces but always check the label and do a small test before applying to anything expensive. Knowing how to stop a dog from chewing is important both for their health and for your bank balance and peace of mind. Follow the advice in this article and hopefully your dog will soon learn what they can chew and what they can’t. And then you’ll have a better and more rewarding relationship with your dog – one of the main advantages of dog training.